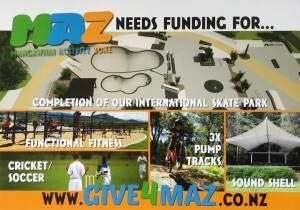 Your financial donation will help MAZ to accomplish its vision of creating the ultimate recreation facility. Donations in any amount are very welcome. * Secure online donation service provided by PayPal. Tax receipts provided.